Tibet activists and supporters joined 400,000 people in the streets of Hong Kong yesterday in a protest rally against Hu Jintao, who was visiting the business hub to commemorate the 15th anniversary of its handover to China. The protesters waving Tibetan national flags denounced Hu’s failed policies in Tibet, from implementing martial law in Tibet in 1989 to his government’s crackdown on the peaceful 2008 mass protests in Tibet. A new report detailing Hu’s “repressive and marginalising” policies inside Tibet, titled 'Hu Failed Tibet' was also released during the rally. "It is an incredible feeling to stand here with this sea of people and be a voice for Tibetan freedom," said Jun-shan Fong, president of SFT Taiwan. 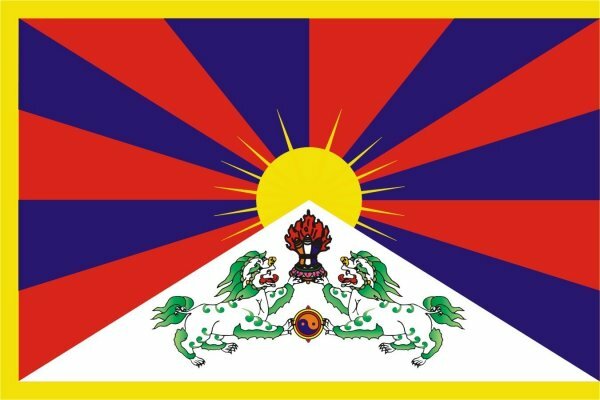 "The ordinary Hong Kong Chinese are somewhat surprised at seeing the Tibetan flag, but many of them kept coming up to us and expressing their support for Tibetan freedom." "They want freedom, just as the Tibetans want freedom for Tibet. No one wants to live under the Chinese government." Protest organisers, UNFFT, Hong Kong in a release censured Hu Jintao for wasting his ten years in power to implement the hard-line policy he called “grasping with both hands;” a combination of economic development and a brutal crackdown on separatism instead of addressing the legitimate grievances of the Tibetan people. "This is the first time in our experience that activists have raised the Free Tibet banner and not got arrested, detained or expelled," said Tenzin Dorjee, executive director of Students for a Free Tibet. "It is an interesting development, perhaps a very significant shift in terms of the consequences of political protest regarding Tibet."